Part crispy, part light and fluffy, perfect roast potatoes are as much a science as they are an art. 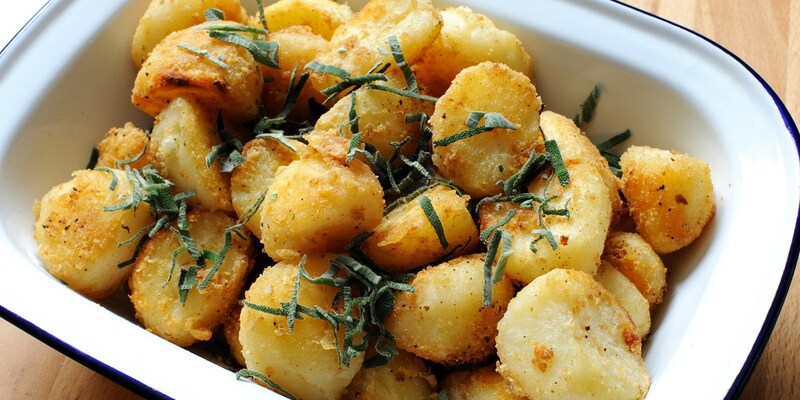 Whether served up with a hearty roast dinner, alongside a casserole or just eaten in their own right (we've all had one of those days), a bowl of crunchy, golden roast potatoes is a welcome guest at every table. This is a collection of recipes that will not only equip you with the skills for making the perfect roast potato, but also offer some fantastic inspiration for what to serve them with. Josh Eggleton's marjoram-garnished Roast potato recipe is cooked in goose fat, as is Lisa Allen's glorious recipe for easy roasties. For a full Sunday lunch with all the trimmings try Marcus Wareing's Roast beef sirloin recipe, which is served with crisp roast potatoes and a mushroom and brandy sauce.